The Lexus LC is an all-new line of luxury sport coupes that will serve as sporty new flagships for Toyota's luxury brand. Lexus LC was launched for the 2018 model year as two models, the LC 500 with a V8 and the LC 500h featuring a hybrid gas-electric powertrain. The Lexus LC makes a strong styling statement, promising luxury and performance. We found the LC 500's road manners superb, with fluid steering and a resilient ride. The opposite of a lightweight, the Lexus LC 500 weighs 4,280 pounds, as much as a Porsche Panamera or 900 pounds more than a 911 Carrera. And it's a big car, built on the rear-wheel-drive platform of the upcoming Lexus LS flagship luxury sedan, and measuring 187 inches long with a 113-inch wheelbase. And it's wide. Yet there is almost no back seat. The accommodations for the second and third passengers are literally buckets, as with the Porsche 911. Cargo space is small and gets even smaller with the hybrid. 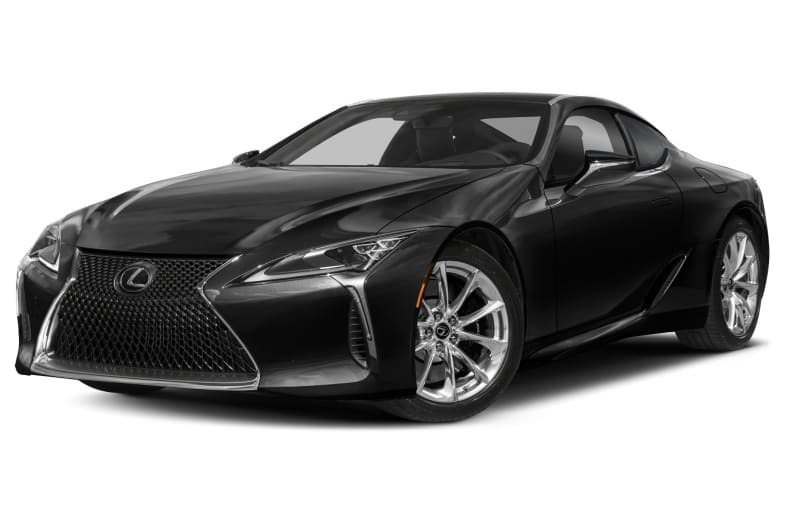 The rear-wheel-drive LC 500 uses an existing Lexus engine, the 5.0-liter V8 that's in the RC F and GS F. Without turbochargers or a supercharger, it makes 467 horsepower and 389 pound-feet of torque, mated to a focused 10-speed automatic transmission with an optional Torsen differential. It can accelerate from zero to sixty miles per hour in 4.4 seconds, and reach a top speed of 168 mph. It gets 19 miles per gallon Combined EPA city and highway, a few less than the Corvette or Porsche 911. The LC 500h uses a 3.5-liter V6 with two electric motors driven by a 44-kw lithium-ion battery. It makes a combined 354 horsepower, can hit sixty mph in 4.7 seconds, and reach 155 mph. One motor powers the car at low speeds through three programmable levels of power, while the second motor adds power at higher speeds. It too uses a 10-speed automatic. It can travel four miles on battery power alone, barely far enough for a cruise of a parking lot. It gets 30 combined miles per gallon.